The koi fish is a meaningful symbol to the cultures of Japan and China. The term koi is the Japanese word for wild carp. From tiny tattoos to immense body coverings, the koi fish is one of the most versatile tattoos available. Beauty and strength are two of the most common attributes of the koi fish, thus offering both femininity and masculinity as common attributes. Chinese culture often associates the fish with prosperity. The Chinese words for money and fish are similar, and cultural language norms cause the two to be associated. In many Chinese restaurants a golden cat pawing at coins can be seen near the register, this is a manifestation of the pun between the words for money and fish. Koi fish are also placed in fountains, which are welcome homes for coins thrown from customers who are seeking luck. The koi fish is known in Japanese and Chinese cultures for its perseverance. Known for swimming against the current and up waterfalls, the koi fish has been a symbol of bravery and strength for thousands of years. In Chinese cultural mythology, a brave koi fish swam the length of the Yellow River to reach the Dragon Gate. At the end of its journey, the koi fish was transformed into a dragon. Both the Yin Yang and Lotus are common symbols that are associated with the koi fish. The Yin Yang is a symbol of balance and representative of Taoist teachings. 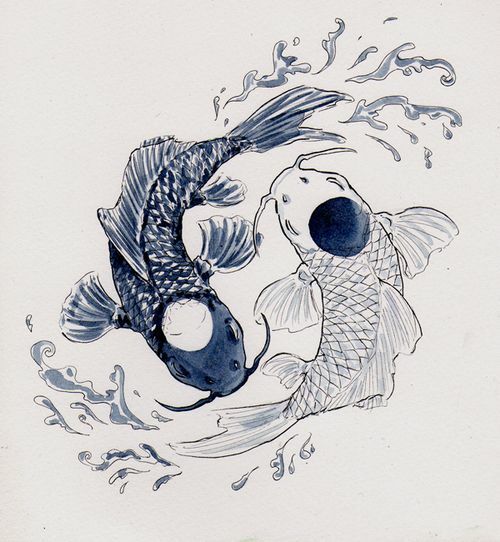 Oftentimes, two koi fish of different colors are depicted as circling each other. The lotus, a symbol of Buddhism, is a representation of purity of knowledge and insight within a world of mud and delusion. A single koi fish is often indicative of an individual who is following the noble eightfold path toward enlightenment and nirvana. As symbols of non-conformity, the koi fish is often found on people who live a life that is unusual and unique. The countless different forms and colors of depictions of koi fish give this individualistic quality to its bearers. Like the transcendence of the koi fish into the dragon, many people who feature the koi fish view themselves on a journey of discovery and growth. 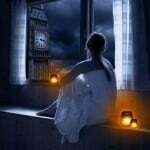 The concept of destiny is also associated with the individual’s attempt to reach a higher state of understanding. The koi fish is also known as a symbol of beauty. Because of its range of coloration, the koi fish can be representative of a wide variety of factors including beauty, fertility, love and many other similar qualities. Two koi fish are often described as partners through adversity. 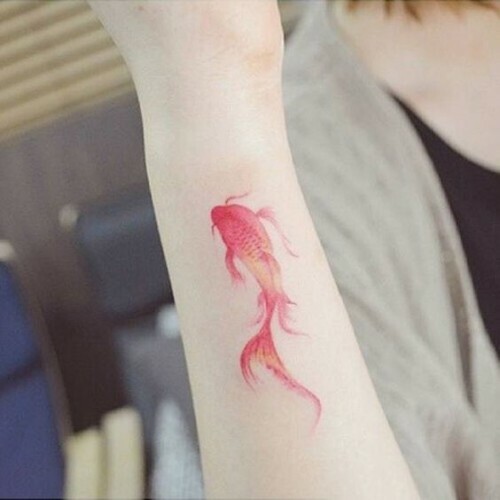 Many people choose to get matching or similar tattoos which depict two fish for each lover. 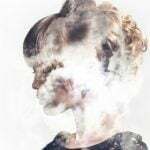 This theme is often associated with the aforementioned symbol of the yin yang, the feminine and masculine qualities of receptive and active energy. Red is the color of power and passion, and it is often associated with the active, masculine energy called yang. Orange-gold coloration is often attributed to wealth and luck. Yellow koi fish are often found with red or gold spots, and this coloration may depict growth or destiny. Green is an unusual color for koi fish, but may be found when a spectral chromatic grouping of fish is rendered, and often represents rarity and uniqueness. Blue koi are representations of fertility, and are commonly shown on journeys against the current. Purple fish are rare, but represent the feminine qualities of mystery and elusiveness, which are aspects of the receptive energy called yin. Watercolor is a beautiful and artistic way to display both the beauty and impermanence of form. This may be a used as a reminder of the Buddha. Stylized symbols, such as the zodiac symbol of Pisces, may be used as well. Extensive shading can be used to show the variations of depth between a group of koi fish. 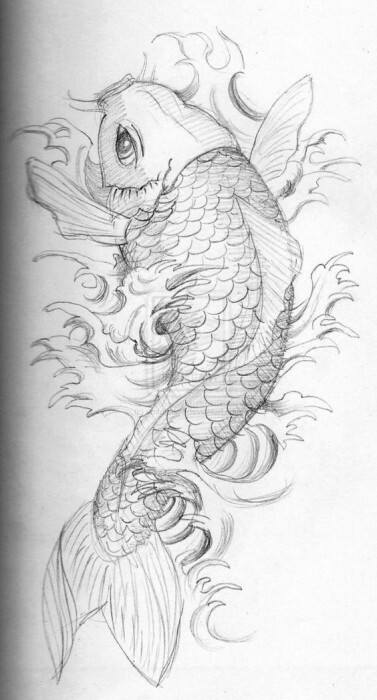 Using two opposing methods, such as hyper-realism and surrealism, can be used to show the transfiguration of the mundane koi fish into the celestial dragon. Adding individual adornments to your tattoo will bring out your own character. 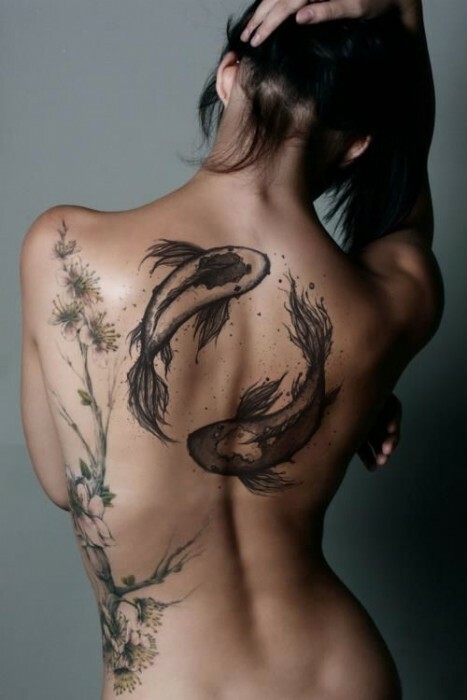 By giving the koi fish wings, you can give a sense of transcendence or fulfillment of destiny. By having it evade a crane, you can reveal a sense of survival against extreme odds. Perhaps a scene of numerous koi fish of different styles and colors can reveal a sense of unity between a group of misfit friends. Jump into the world of enlightenment and depict a koi fish meditating at the base of a strand of seaweed with fingers of light streaming through the murky water. The koi fish has the potential to display all sorts of personality traits and desires. There is no reason to limit yourself to anything that you have seen here, so make your tattoo your own explore your individuality and inclinations. Be sure to represent what is true to yourself, as your tattoo is a permanent reminder of your thoughts and feelings at the moment of application. 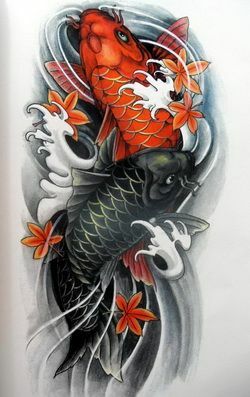 As the koi fish is a common tattoo, be sure to think of ways to make yours unique and extraordinary. Do not miss out on the incredible amount of knowledge that your tattoo artist has available due to years of experience, so be sure to speak with them about ways to make your koi fish tattoo be the pride and joy of your body art.